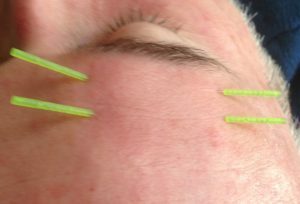 2 Day Class – Acupuncture CEU Class for Treating Neuromuscular Facial Conditions. Our 2-day Acupuncture CEU class for treating neuromuscular facial conditions is taught by Michelle Gellis LAc MAc DiplAc, faculty at Maryland University of Integrative Health. This hands on class provides skills to identify & treat conditions which may contribute to various diseases and disorders which affect the proper functioning of facial muscles and nerves such as: Bells Palsy, Ptosis, Shingles, TMJ, Stroke, Trigeminal Neuralgia, MS and others. The class has been approved by the NCCAOM for 14 PDA points (CEUs). Class runs from 9:00 am – 5:00 pm. Unlicensed Students! Use coupon code “student25” at checkout for a $25 discount.